Hip Hop double act DizzyM. 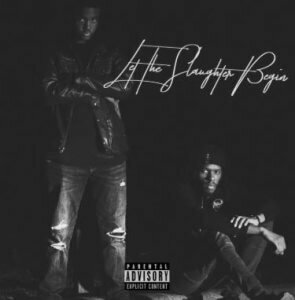 & KaiKnows are about to drop their latest album Let The Slaughter Begin. Blend­ing the sounds of DMV rap pro­du­cer DizzyM. and Hou­s­ton, TX rap­per KaiKnows you end up with dark, yet hard hit­ting uptem­po records layered with unique, subtle melod­ies. The inspir­a­tion for “Let the Slaughter Begin” comes primar­ily from an appre­ci­ation for each of their music­al styles. The pair were intro­duced by mutu­al friends and ever since have been work­ing on cre­at­ing the vis­ion that they share. Catch the visu­als that accom­pany their tun­es on their You­Tube page. Let the Slaughter Begin will reach all major digit­al plat­forms on March 12th 2019. Rish­ma Dhali­wal has extens­ive exper­i­ence study­ing and work­ing in the music and media industry. Hav­ing writ­ten a thes­is on how Hip Hop acts as a social move­ment, she has spent years research­ing and con­nect­ing with artists who use the art form as a tool for bring­ing a voice to the voice­less. Cur­rently work­ing in TV, Rish­ma brings her PR and media know­ledge to I am Hip Hop and oth­er pro­jects by No Bounds. 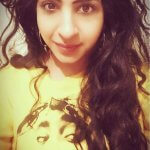 Rishma Dhaliwal has extensive experience studying and working in the music and media industry. Having written a thesis on how Hip Hop acts as a social movement, she has spent years researching and connecting with artists who use the art form as a tool for bringing a voice to the voiceless. Currently working in TV, Rishma brings her PR and media knowledge to I am Hip Hop and other projects by No Bounds.